Whole grains may be the holy grail of good health, according to a study published in the British Medical Journal. 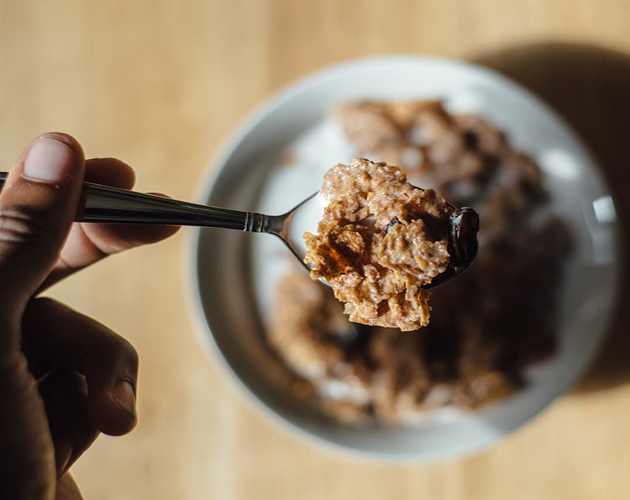 A higher intake of whole grain bread, whole grain breakfast cereals, and added bran has been shown to lower the risk of major chronic diseases and death. The health benefits of whole grain foods has been recognized for many years, but recommendations on the amount of whole grain foods needed to reduce risk of chronic disease and death have been unclear. So an international team of researchers, led by Dr. Dagfinn Aune at Imperial College London, carried out a systematic review of 45 published studies on whole grain consumption in relation to several health outcomes. The greatest benefit was seen for people who increased from no intake of whole grain to two servings per day, equivalent to 32 g per day, such as 32 g of whole grain wheat or 60 g per day of products with whole whole grains, such as 60 g of whole grain wheat bread. Further reductions in risks were observed up to 7.5 servings a day, equivalent to 225 grams per day of whole grain products. But even small increases in consumption could bring substantial health benefits, emphasizes the report. However, there was little evidence of an association with intake of refined grains, white rice, total rice or other grains. “Increasing whole grain intake could have a substantial and positive effect on public health,” stated Danish researchers in a BMJ editorial. Whole grain intakes of up to 7.5 servings a day “might be ambitious, but it is feasible”, they explain, adding that lessons can be learnt from Denmark, where consumption has doubled in the last 10 years, through effective campaigns and product development.